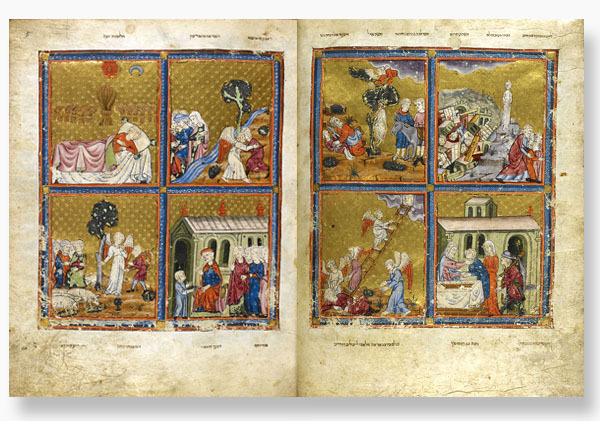 The Golden Haggadah is one of the finest of the surviving Haggadah manuscripts from medieval Spain. 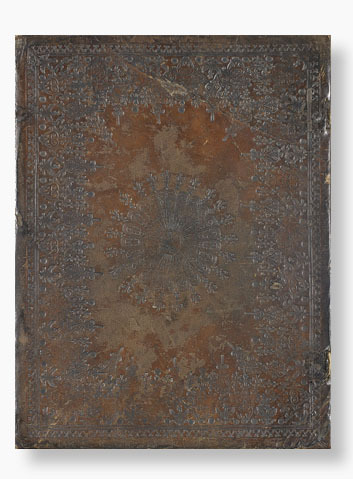 The Haggadah, which literally means “narration”, is the Hebrew service-book used in Jewish households on Passover Eve at a festive meal to commemorate the Exodus from Egypt.It is one of the most frequently decorated Jewish prayer-books. Its absorbing contents, and the fact that it was intended for use at home and its main aim was to educate the young, provided ample scope for artistic creativity. 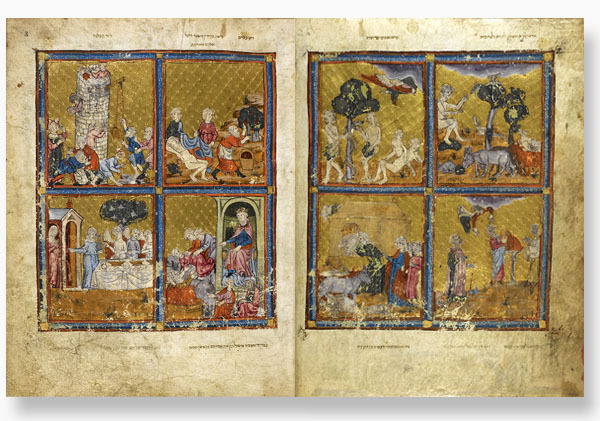 The Golden Haggadah was probably made near Barcelona in about 1320. In addition to the Haggadah text itself the manuscript contains liturgical Passover poems according to the Spanish rite. The text is preceded by a series of full-page miniatures depicting scenes mainly from the Book of Exodus. These sumptuous illuminations set against gold-tooled backgrounds earned the manuscript its name and were executed by two artists in the northern French Gothic style.